Insider Info: Ms. Mary Ann’s Ballet Production! Students of Atlanta Dance Central have been working diligently since the beginning of January to prepare for their annual recital in May. This year’s recital theme is “Season’s of Dance!” This year the resident Ballet Mistress, Ms. Mary Ann, has put together yet another original ballet. All of the ballet students in the youth program will put on a twenty minute ballet together during the recital. We met up with Ms. Mary Ann to get some insider information about this year’s ballet production! How many years has Atlanta Dance Central been putting together original ballet productions? This is our third year putting together the original ballet productions. The first year we opened, we did not have a enough ballet students and classes but we’ve grown tremendously since then! How did the idea of doing a ballet production with all of the ballet classes come about? The first year I saw a cute costume in one of the costume books that reminded me of a production by Auguste Bournonville called Le Conservatoire (1849), which is a vaudeville ballet that takes place in the ballet studios in Paris. I thought it would be fun to tie all the class performances together in a studio setting theme and give us a chance to add a small storyline, as well. 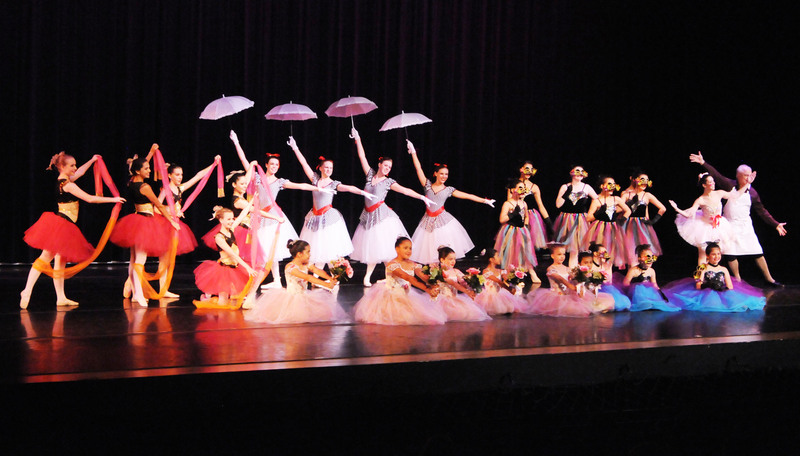 Last year’s ballet, Toyshop, was inspired by the story of Coppélia. What is the theme or inspiration for this year’s production? This year, I was again inspired by a costume I saw in the catalogues – this time I thought the butterfly costume was interesting and unique and wanted to incorporate that into the ballet. I decided a Flower Garden theme could be really pretty with the older students as elegant flowers and the younger students as butterflies and birds (initially, later changed to fireflies). Why do you think putting on a production is beneficial for the students? I think the production is beneficial because students get to experience a small ten to twenty minute snippet of what being in a grand two hour ballet is like. Instead of just performing their class dance, running off stage, and not getting to see the other ballet classes perform, they get to be a part of the story and action on stage for the entire production. They learn to be a character and act and dance that character on stage. Plus, all the students on stage adds to a pretty tableau of ballerinas! By doing the ballet productions, we can tie all the students’ levels together – the younger ballerinas look sweet in their tutus and the older ballerinas look elegant in their pointe shoes. I can’t wait for the Flower Garden rehearsals (starting at the end of April) where I can see all the classes rehearse together for the first time in the same room! 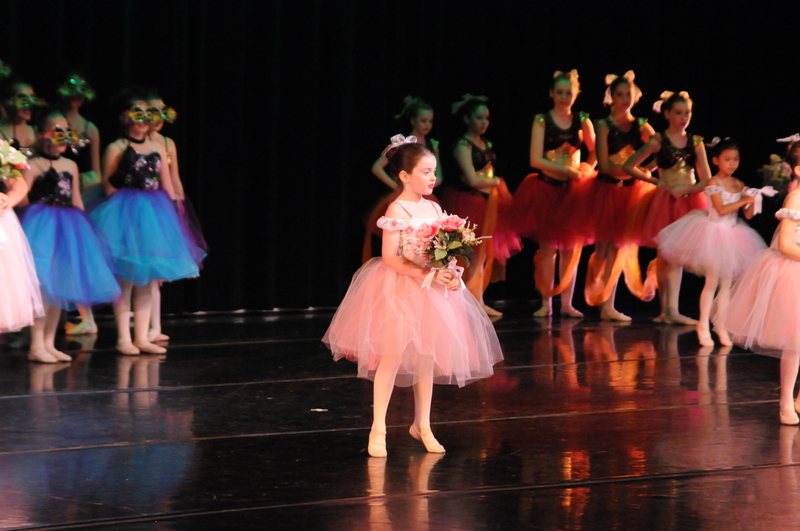 We are excited to see all of our ballet performers on stage at this year’s recital in May! 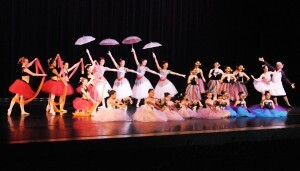 Atlanta Dance Central’s recital is Saturday, May 11 at Blessed Trinity High School, and the ballet production will be opening the second half of the show. See you there! Previous Post: « What are Dance Conventions?